This was a fantastic opportunity and a behind the scenes workshop where we could see how all parts of such a large and important tournament operates as well as Q and A’s with other coaches, physios, media, the tournament director and stringers. It was also great to catch up with some of my friends from the tour who I don’t get the chance to see very often now- including my former Wimbledon qualifying doubles partner and training partner Naomi Broady – who is at WTA ranking of 86 respectively. We reminisced about a tournament we played together up in Glasgow and how I had to go and collect Naomi from McDonalds at midnight after she had had an argument with her Dad/coach! 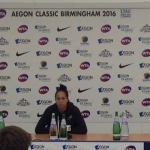 We also got the chance to to get behind the scenes of the media and sit in on some press conferences including rising star and eventual champion Madison Keys of the USA. Media commitments are a hugely important aspect of a professional tennis players life and are mandatory at such events. Fines are issued if a player skips a press conference. Press conferences can take anything from 5 minutes to 2 hours depending on how many languages the player speaks – typically all Federer’s last upwards of 2 hours. 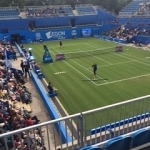 Tennis is a truly global game – this event was broadcast live by British Eurosport and each individual match could be bought by different countries and streamed live on their host sport channels. We spent time with the tournament physios and doctors and discussed all the different challenges on the body the change from the clay to the grass court season presents, especially wet soft grass as the weather during the tournament was hardly tropical! Thigh strains and tight bums from the lower bounce of the ball and having to get lower to the ground were the most frequent type of injuries. Movement and footwork patterns are so different on a grass court and the body doesn’t have alot of time to adjust after the French Open. We were able to watch and enjoy some of the top class womens tennis including Petra Kvitova (Wimbledon champion 2011 and 2014) who I always enjoy watching being a fellow lefty as well as supporting the Brits Jo Konta and Heather Watson. 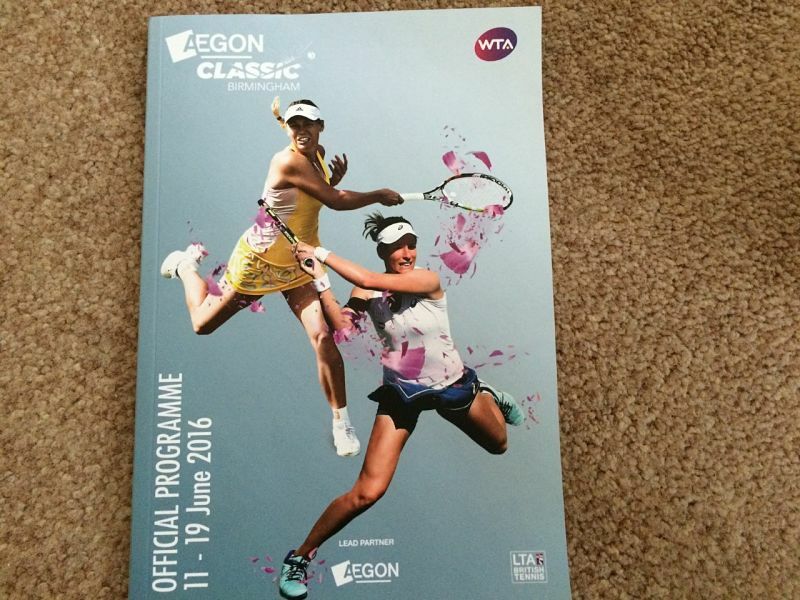 It was a fantastic day, I always enjoy being able to access all areas at these events which are so pivotal to the womens’ grass court season and to see who is in form going into Wimbledon. My money is on Madison Keys. Roll on SW19.